Security deposits can be a big source of worry when you’re moving, since you never know if your landlord will try to withhold some or all of your deposit. Move.org surveyed renters to find out how many had had their security deposits withheld and why. From a sample of 100 participants, 10% reported having their deposits withheld, with 39% listing “cleaning costs” as the reason for withholding. Over 16% took legal action to try to get their money back, but only 11% succeeded. Knowing how to prevent this from happening can save you a lot of time and money in the long run. To ensure you get your full security deposit back, Move.org has compiled a list of some of the most frequently asked questions about how security deposits work as well as advice on how to avoid getting charged for excessive cleaning costs. Security deposits are used to cover any potential damage tenants might cause to a unit during their lease term. 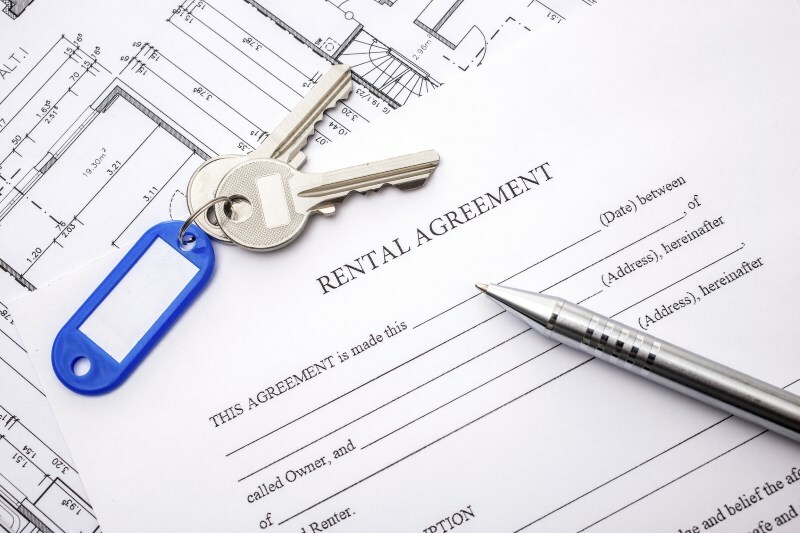 Landlords generally require that you include your security deposit with your first and sometimes last month of rent when signing a lease. After you move out, the property is inspected for damages and the portion of the deposit not used to pay for repairs is returned. Security deposits cover any excessive filth or damage you may cause while occupying the property. Most landlords charge separate pet deposits for tenants who will be sharing their homes with furry friends. Basically, the rental unit must be returned to the landlord in the same shape it was in when you moved in. Do security deposits get cashed? Landlords must place security deposits in designated accounts, so yes, security deposit checks get cashed. A landlord will do this to ensure that the damages caused to a unit will be covered even if the tenant bails on their contract. Security deposits are usually cashed right away, so make sure you have the funds available when handing over the check. Where are security deposits held? In the majority of cases, deposits must be held in separate accounts and landlords are required to leave the funds untouched throughout your time in their unit. For example, a landlord can’t withdraw funds to cover repair costs while you are still living in the unit. The amount a landlord can charge for security deposits depends on the state. Most of the time, security deposits are limited to one or two months’ rent. Roughly half the states impose no limit on deposits, so landlords will usually adjust their deposit amounts to market value. It depends. Some security deposits are fully refundable provided you haven’t caused damage to the unit during your time there. Other deposits are only partially refundable to cover cleaning services post-move-out. Most lease agreements will tell you ahead of time, but if not, be sure to ask and read your contract before signing. How much of my security deposit can I get back? As previously noted, the amount returned depends on how much the landlord withholds to pay for necessary repairs. In some states, landlords are required to pay interest on security deposit amounts when funds are returned to the tenant. Some tenants receive full returns, while others actually end up owing the landlord even more money due to the costs of damages. We recommend you take clear photographs upon move-in and again when before moving out to have a visual record of the condition of the property in case any disputes arise. Can a security deposit be used for unpaid rent? Security deposits are not intended to cover unpaid rent. Most leases state this implicitly. Yet in our survey, 21% of participants said they had their deposit used to cover rent or utilities. If you break your contract or move out early, chances are your deposit will be used to cover rent while the landlord attempts to fill your empty unit. When does a security deposit need to be returned? This depends on specific state laws. Typically, funds must be returned within 14 to 30 days. In certain states it can be as long as 60 days. If money is withheld to pay for repairs, landlords must provide tenants with an itemized list of necessary work and associated costs. By following these six tips for repairing or cleaning items, you can significantly increase the chances that you’ll recover all your cash. After you remove all your paintings or picture frames, you will inevitably find quite a few holes from the nails used to hang your artwork. Fixing the holes is simple. Don’t use home remedies like soap or toothpaste. Instead, you’ll need a small container of latex spackling compound, a small putty knife, a drill with a Phillips head driver bit, sandpaper, and a couple of drywall screws. After you move your furniture, you may find some unattractive stains on the carpet. Try using vinegar to remove the stain, but avoid pouring it straight on. Use a squirt bottle to create a vinegar-and-water mix and use a blotting cloth to clean off the spots. Be sure to test your solution on an inconspicuous spot like a corner or a closet first to make sure your carpet responds well to the mix. Hardwood floors can sustain damage for a number of reasons, including moving large furniture and sliding chairs around. To repair deep gouges, you’ll need to lightly sand the area with sandpaper then touch up with a stain color that’s a similar color to the rest of your floor. The stain might not match exactly, but the dark color should fade somewhat after you apply a top coat. If a door frame has cracked or been kicked in, you can repair it with wood filler, wood glue, and a wood clamp. Cases of severe damage may call for a reinforcement plate or door jamb repair kit that includes a sturdy strike plate and metal overlay. When you move out, chances are the inside of your fridge will look less than appetizing. To clean it, take everything out, turn up the temperature (or just turn the fridge off) and put any removable parts into the dishwasher. While you wait for the dishwasher to finish, clean out and sanitize the inside with a clean cloth, some dish soap, sanitizing liquid, and a sponge. If your old smoke or carbon monoxide detector is inoperable or not there at all, it’s relatively easy to install a new one. To remove the old one, take off the cover and remove the screws holding it to the ceiling. Measure the distance from the walls, mark where you’ll put the screws and add your new mounting bracket. Your new detector should simply twist into the bracket. Do you have other tips to get more of your security deposit returned? Let us know in the comments below. This is a great article. You would not believe the sort of messes properties are left in after some tenant move out and they still complain because they don’t get all of their security deposit back. Houses are left with garbage, some with holes in the walls, and others with carpets completely ruined. This would be great advice to give to potential tenants that are looking to rent out a home. Letting them know all this information before hand will save a lot of headaches for both the owner and the tenant. Basically, you have to take care of the property as if it was your own (or even better). Landlords have the tendency to nitpick when you have to move out. At the end of our lease we had problems with stains on the carpet, some on the walls (which I swear were there before we moved in) and a dirty spot behind the refrigerator we forgot to clean. And because of this we almost lost our bond! People advised us to hire professional cleaners as we were in a hurry and couldn’t afford risking our more time. It all went well in the end. I’ll just advise you – take photos of the property before you move in so you don’t have the same problem like us. You make such a large number of extraordinary focuses here that I read your article two or three times. Your perspectives are as per my own generally. I suggest End Of Lease Cleaning Melbourne This is extraordinary substance for your perusers.